Do you like James Bond? No, I mean do you really like James Bond? If you do, then you might want to start saving your pennies. This year marks the 50th anniversary of Dr. No. Don’t think for a second that MGM isn’t jumping for a chance to promote 50 years of the film franchise. 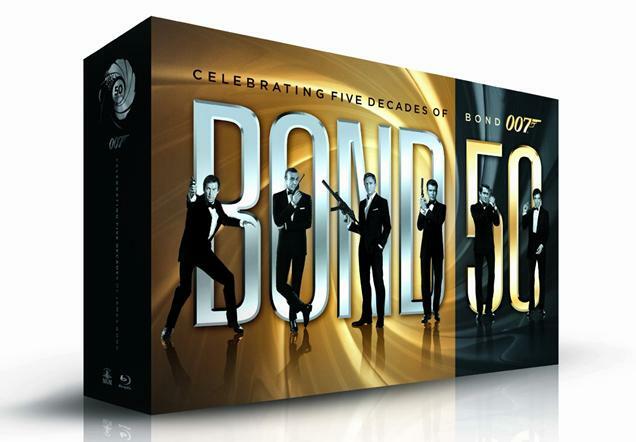 They are releasing the Bond 50 boxed set which contains all 22 of the Eon movies on Blu-ray. You’ll get a box full of Connery, Lazenby, Moore, Dalton, Brosnan, and Craig. Amazon hast the list price for 300 but they are offering it for 200. Considering the sheer number of movies you’re getting, it’s not a bad deal. The set also contains an extra disc that just contains “brand new bonus content” that is supposed to be an hour long. MGM is keeping quiet about the release date on this set, but rumors seem to point to it coming out in October. As I mentioned, this set only contains the Eon films. So if you were dying to see the original Casino Royale or Never Say Never Again you’re out of luck. 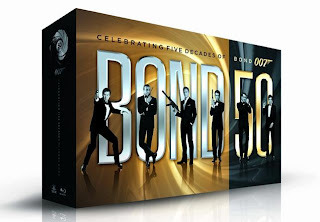 Personally I only need about three Bond movies in my collection to be happy, but your mileage may vary .So what about you, are you a diehard Bond fan?